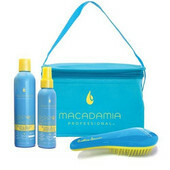 Special kits of sun hair care provides complete care for your hair in the summer. Travel kits are great for a trip or holiday. Travel for miles, without losing your beautiful hair!